There has been passenger airlift from onboard the Carnival Magic on Sunday February 1st. 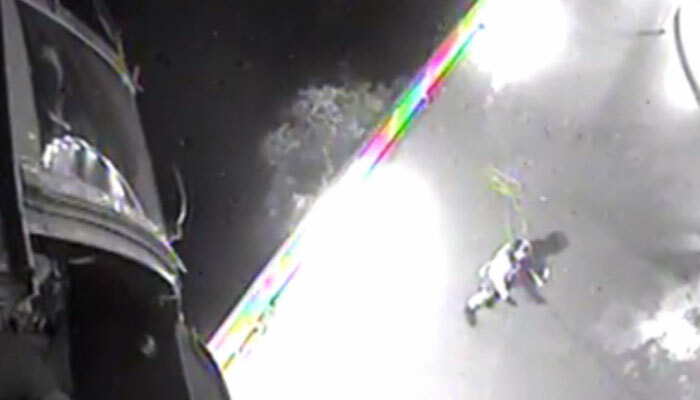 The U.S Coast Guard has stated that rescue helicopter crew medevaced a 51-year-old woman off the vessel while it was approximately 184 miles offshore of Galveston, Texas. The passenger was apparently experiencing respiratory problems and requested a medical evacuation. The Coast Guard received a call from the ships medical staff at around 9 pm on Saturday. A rescue Helicopter was dispatched to take the 51-year-old to an on land medical center. Once in the hands of the Coast Guard the passenger was transferred to University of Texas Medical Branch where she is now in a stable condition. Medevacs are common within the cruise industry and most of them occur smoothly and efficiently.